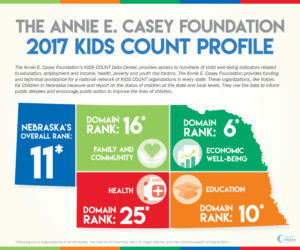 Today, the Annie E. Casey Foundation released the 2017 KIDS COUNT Data Book, an annual snapshot of how America’s children and families are faring in every state and across the nation. 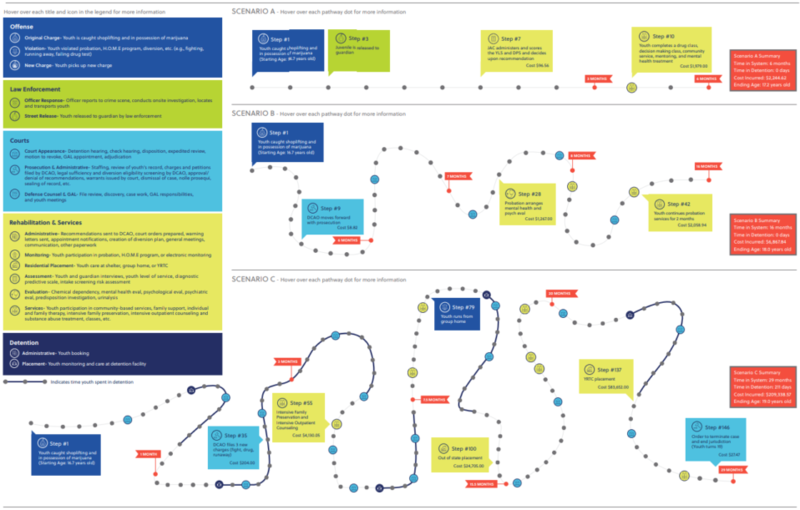 The indicators tracked by KIDS COUNT reflect a range of milestone and supportive conditions that young people need to succeed as adults. While our Kids Count in Nebraska Report provides a more thorough look at Nebraska child well-being, the national KIDS COUNT Data Book is a valuable tool to assess our progress compared to other states and the nation. Current trends highlight notable progress but also areas of concern. Nationwide, parental employment and wages are up, and a record number of children have health insurance. Teenagers are more likely to graduate high school and less likely to abuse drugs and alcohol. But, child poverty rates remain high and more children live in neighborhoods with a high concentration of poverty. Despite modest gains in academic performance, far too many children are below grade level in reading and math. Even where we see improvements, deep racial disparities remain. The KIDS COUNT Data Book takes looks at 16 indicators of child well-being in 4 domains – Economic Well-being, Education, Health, and Family and Community. Nebraska continues to rank high among other states in overall child well-being, with an 11th place ranking this year. Our economic well-being ranking continues to be our strongest domain with a 6th place ranking when compared to other states. We were ranked 10th best state in the country for education, and 16th in family and community. Our lowest ranking is seen in the health domain with a 25th place ranking. 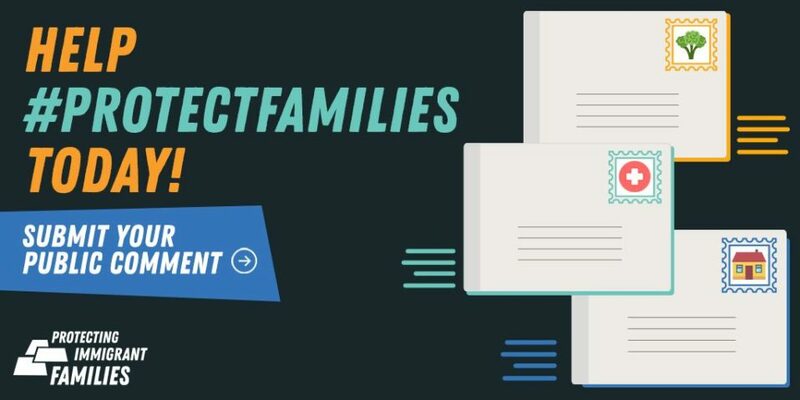 Over the next several weeks, Voices for Children will blog about each of these domains and the indicators in them, sharing the data and their importance to overall child well-being and the pathways to success for all children. Voices and the Annie E. Casey Foundation urges policymakers to make wise, data-driven, public investments and to take a long view. Understandably, legislators and administrators want expenditures to show immediate returns. But we know is takes sustained investment over time to make meaningful improvement for children and to maintain that progress.